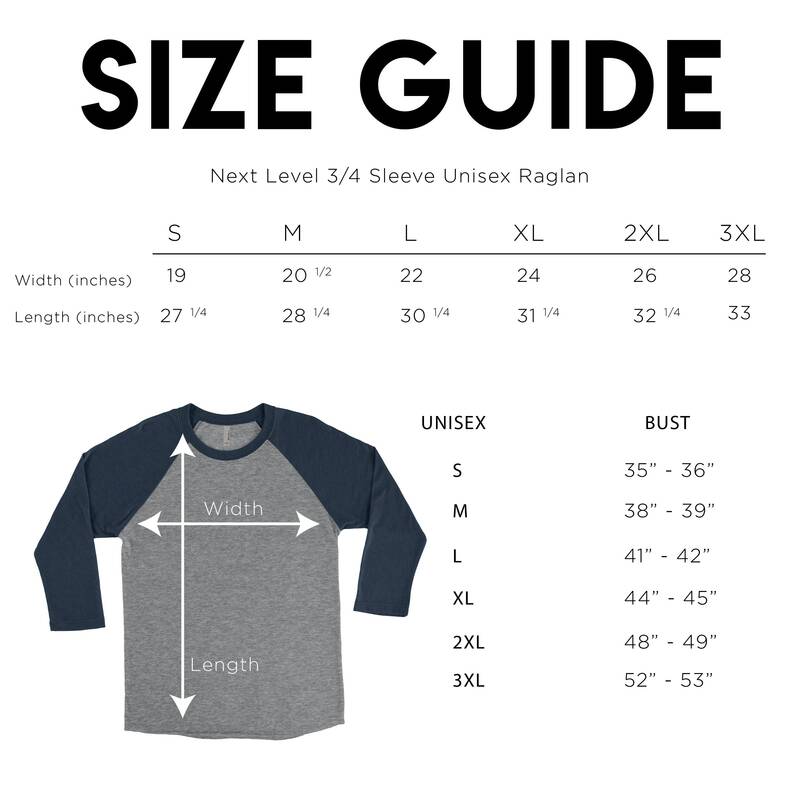 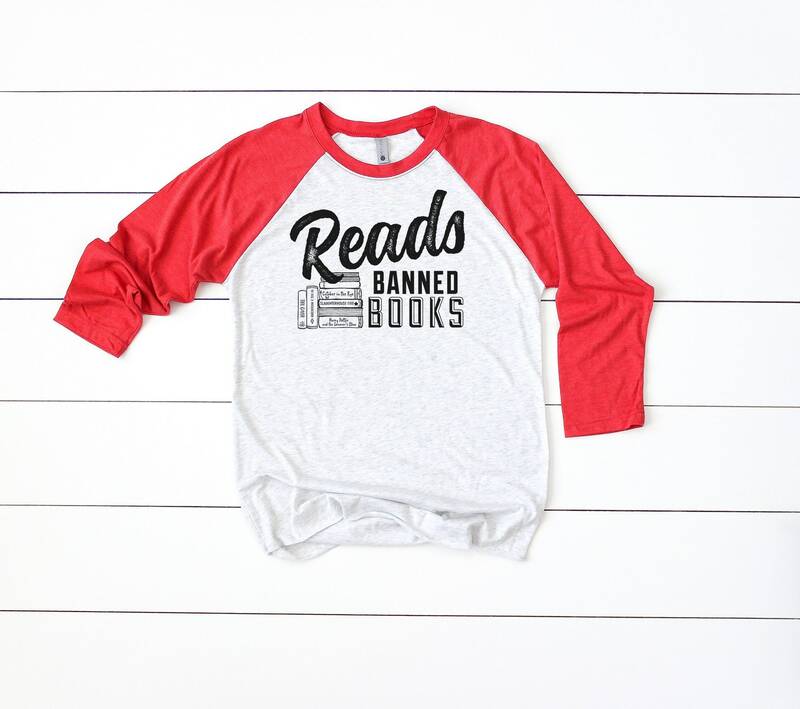 Reads Banned Books 3/4 Sleeve Raglan Librarian Tshirt (Your choice of shirt color. 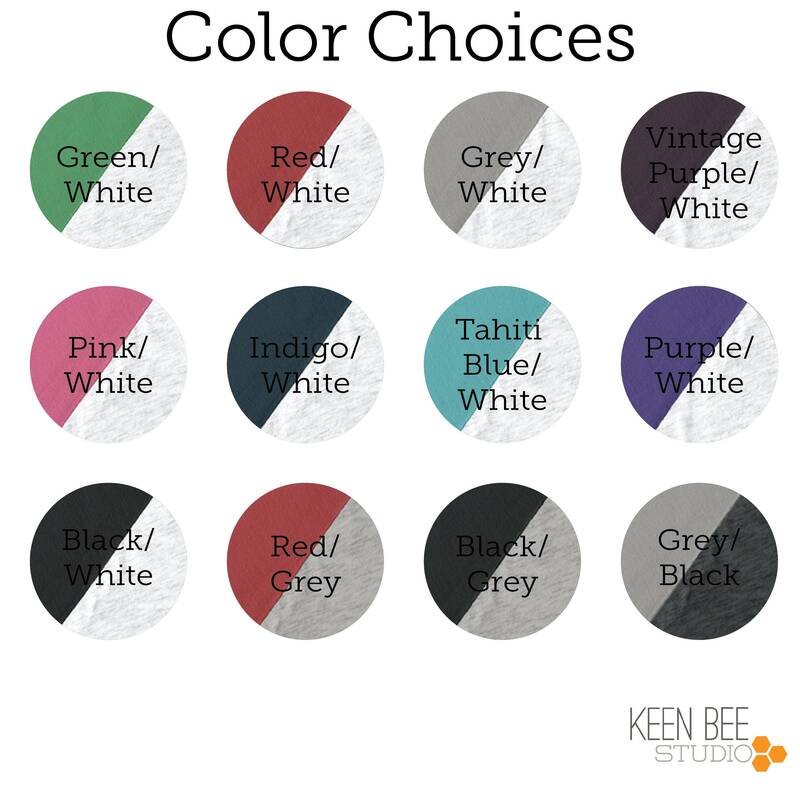 Cover image is shown in Red/White. 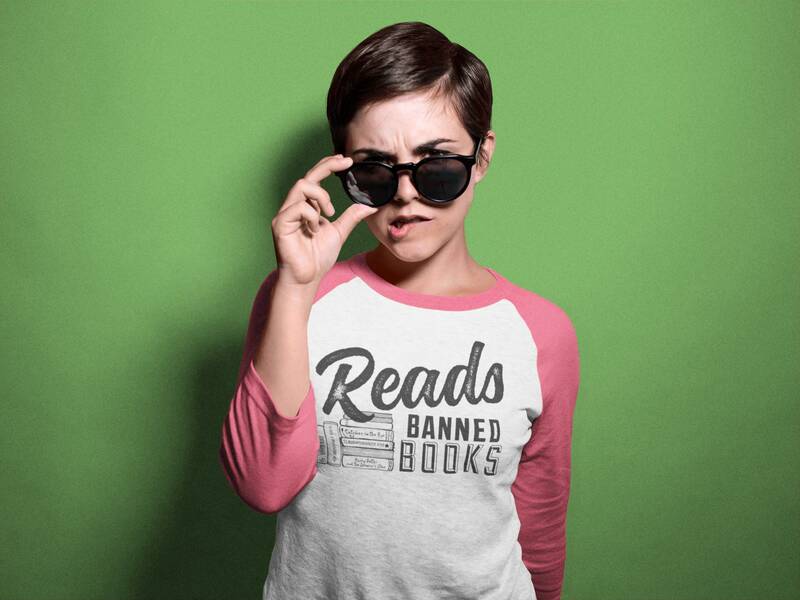 Each of the books is detailed with the name of a banned book from the ALA list of banned books.